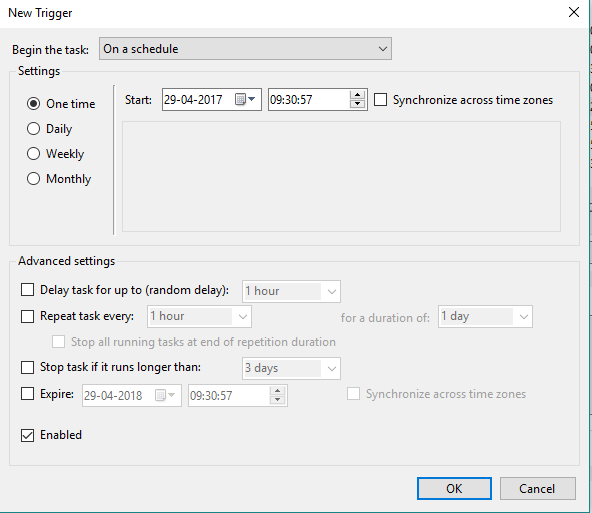 Scheduling tasks is a brilliant way of automating routine tasks. Say you have a script you would like to execute daily. Or you want to be reminded every 90 minutes to have a glass of water using a popup. 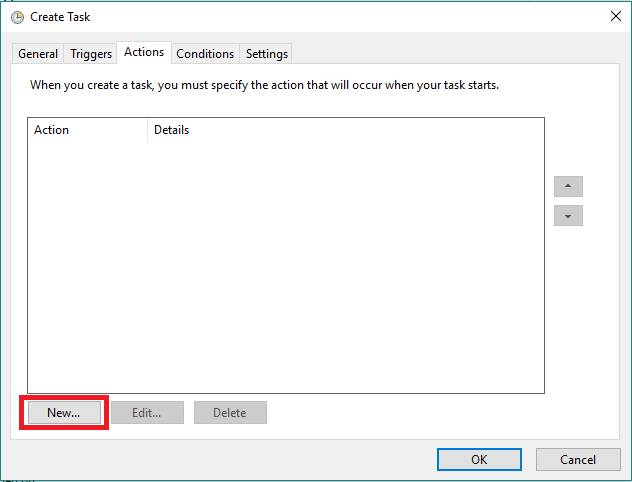 You can use the builtin Windows utility called Task Scheduler to regularize your tasks. 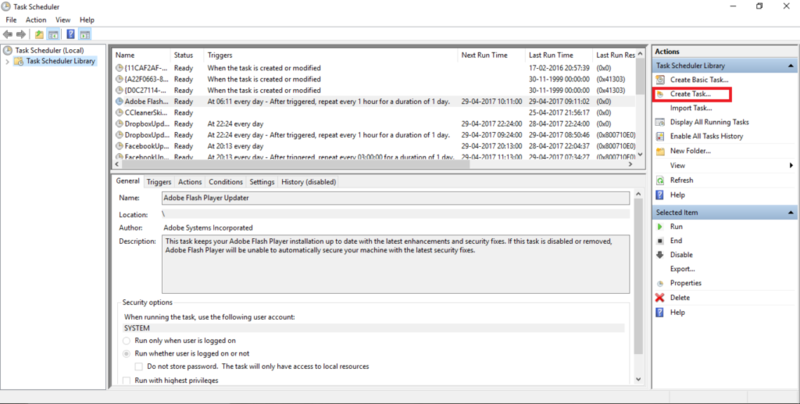 The following example shows how to schedule execution of a script. 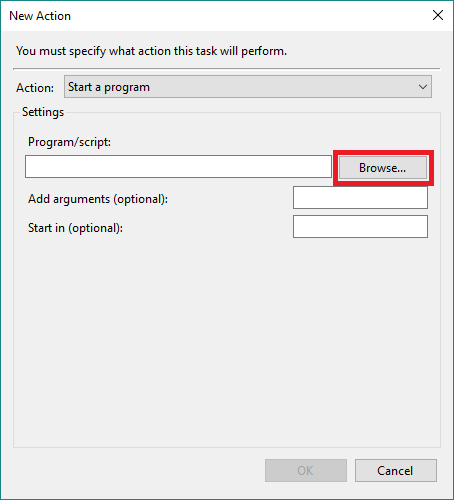 Search for Task Scheduler in Windows Search. 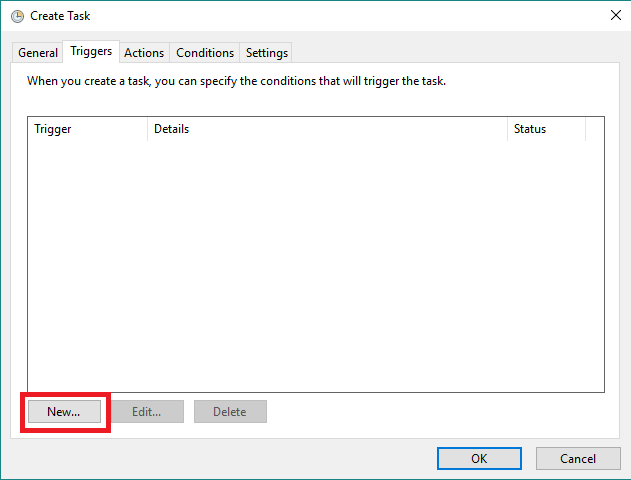 Once the Task Scheduler opens, click on Create Task... in the Actions Menu on the right. In the General Tab of the newly opened dialog box, provide Name and Description of your task. In the Triggers Tab, click on New button to add a trigger. Choose the periodicity of your task. 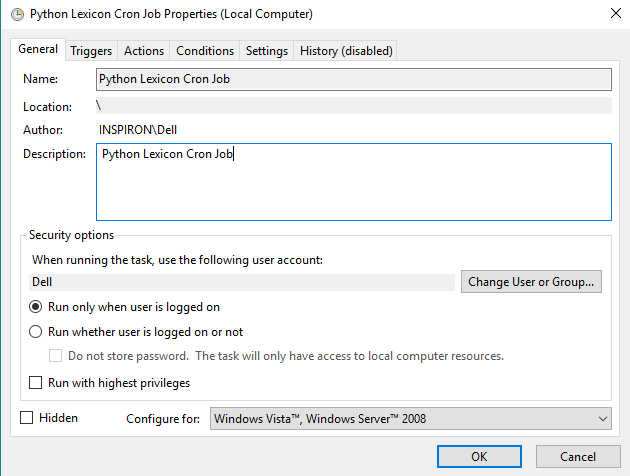 The Enabled check box is set to checked by default. Click OK to set the trigger. Switch to Actions tab. Here you will specify the script to be run. Click on New button to add an action. 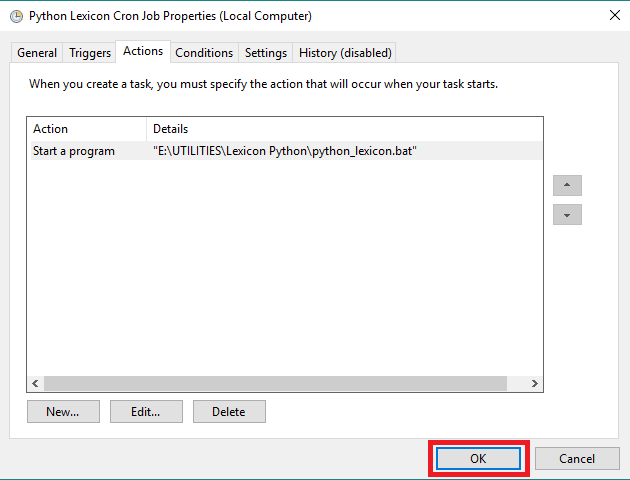 Browse for the script in the Program/script input box and click OK.
Lastly, click on OK to create the task.